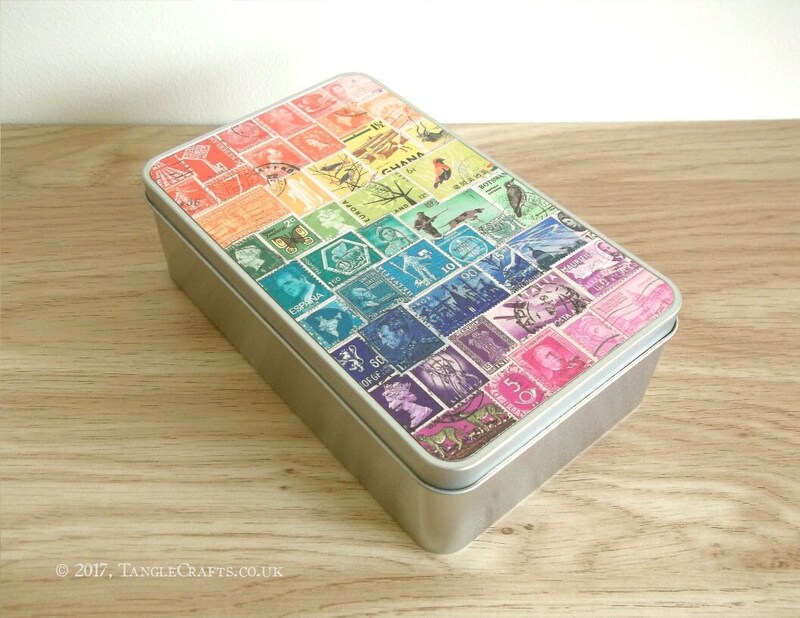 A colourful, quirky storage tin with lift-off lid, perfect for hoarders of tiny treasures! 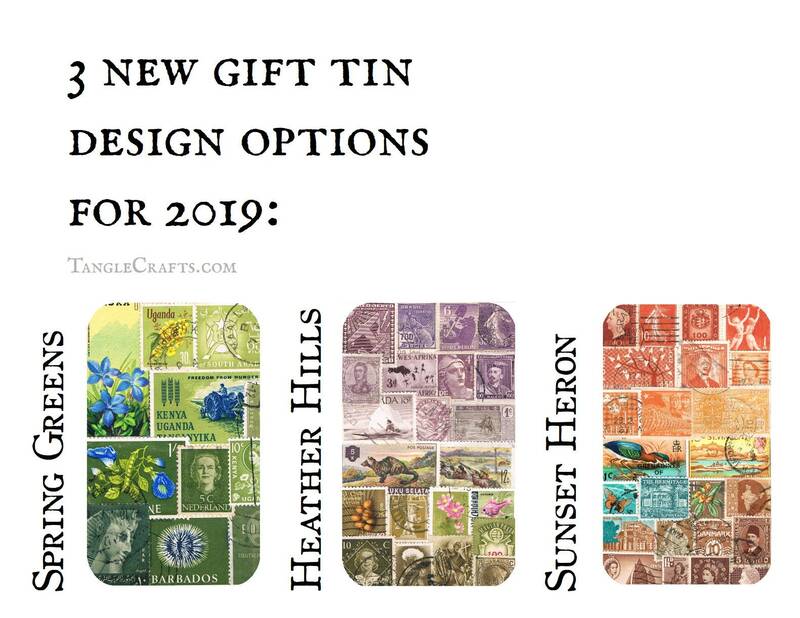 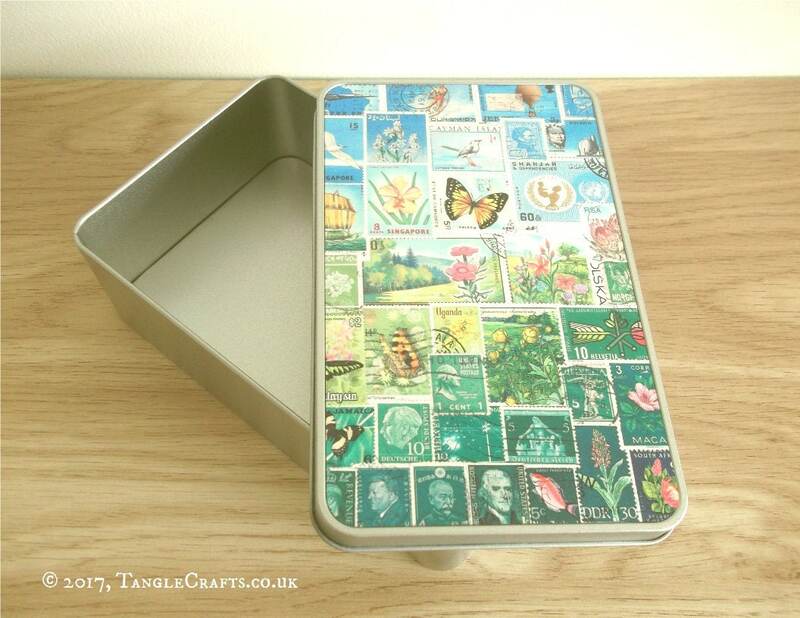 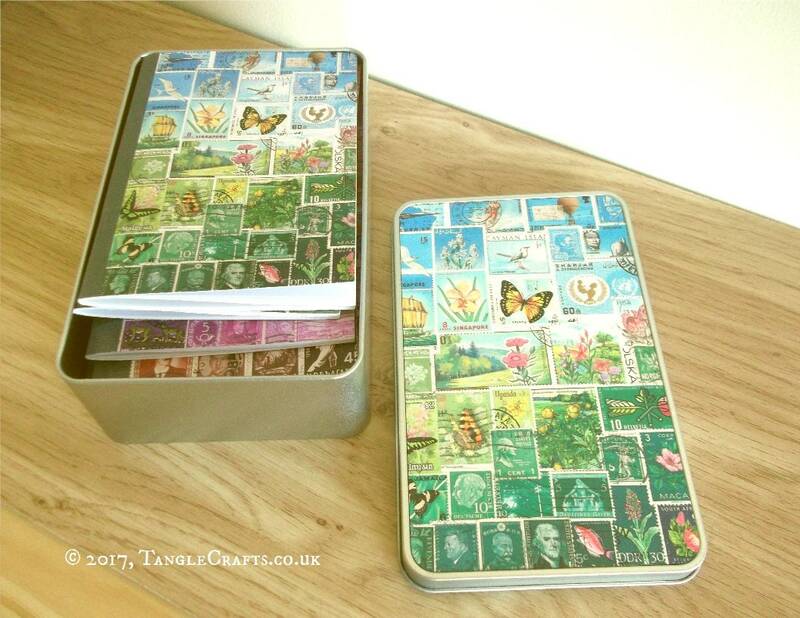 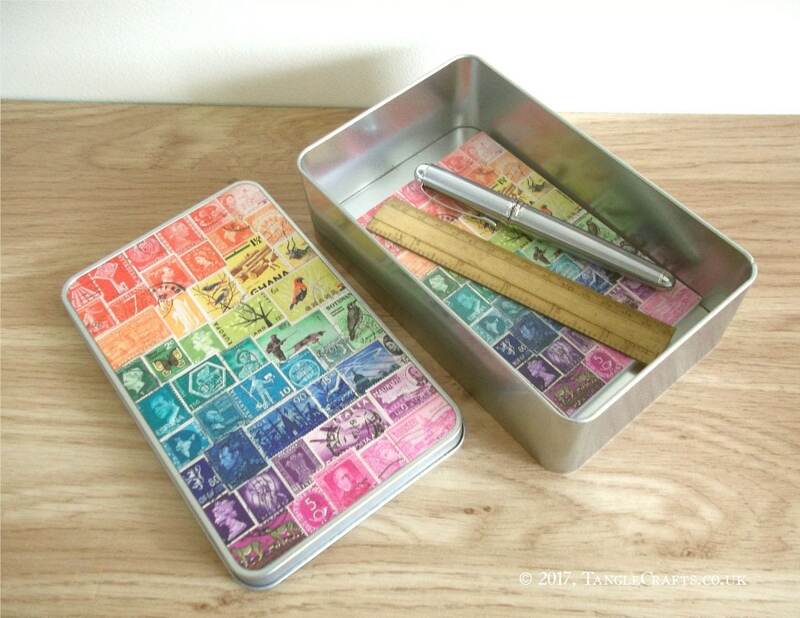 Featuring a reproduction print from one of my original postage stamp collages on the lid, it is the perfect size for storing office desk accessories, pens and pencils, a pile of pocket notebooks, greeting cards, travel souvenirs, pebble collections - almost anything you like! 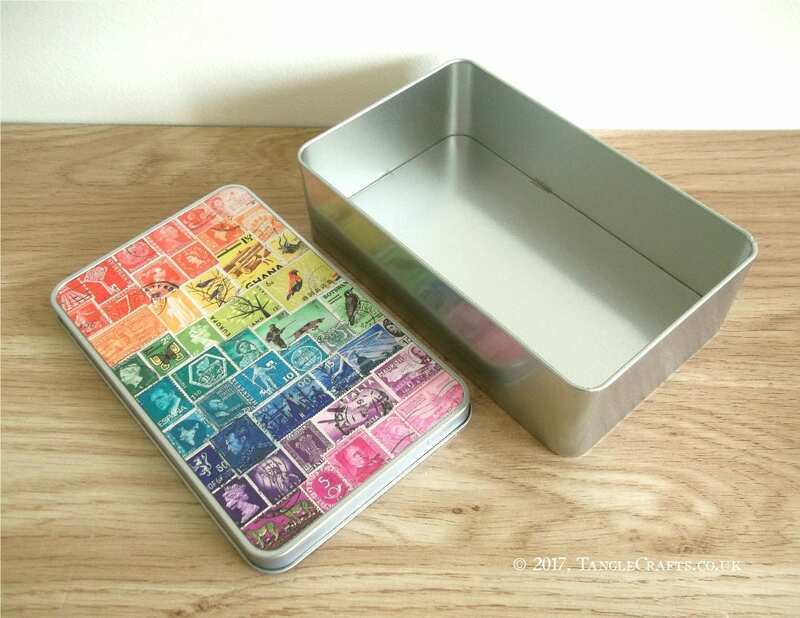 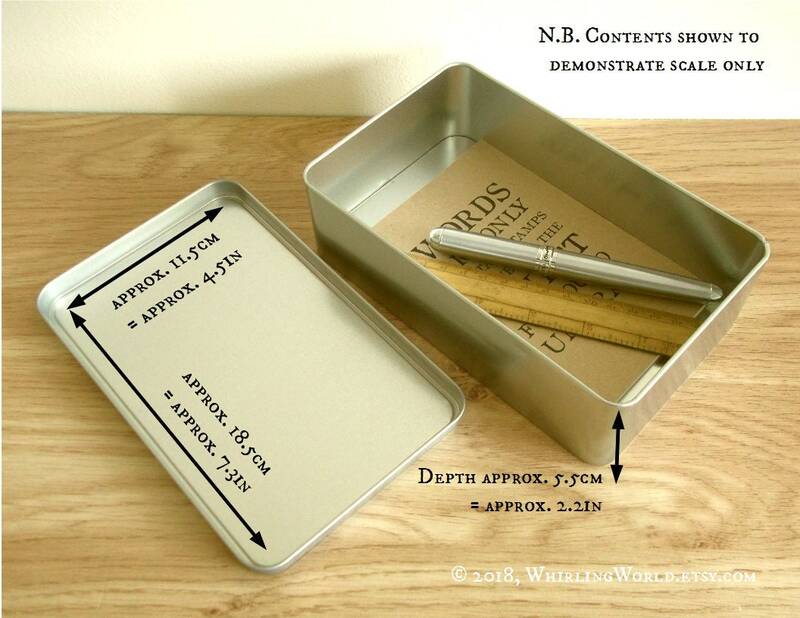 If you are a stationery fiend, please note that a standard pocket/A6 notebook will fit comfortably inside this gift tin (pic 4) - in fact, a stack of 12 will fit comfortably (pic 7)! 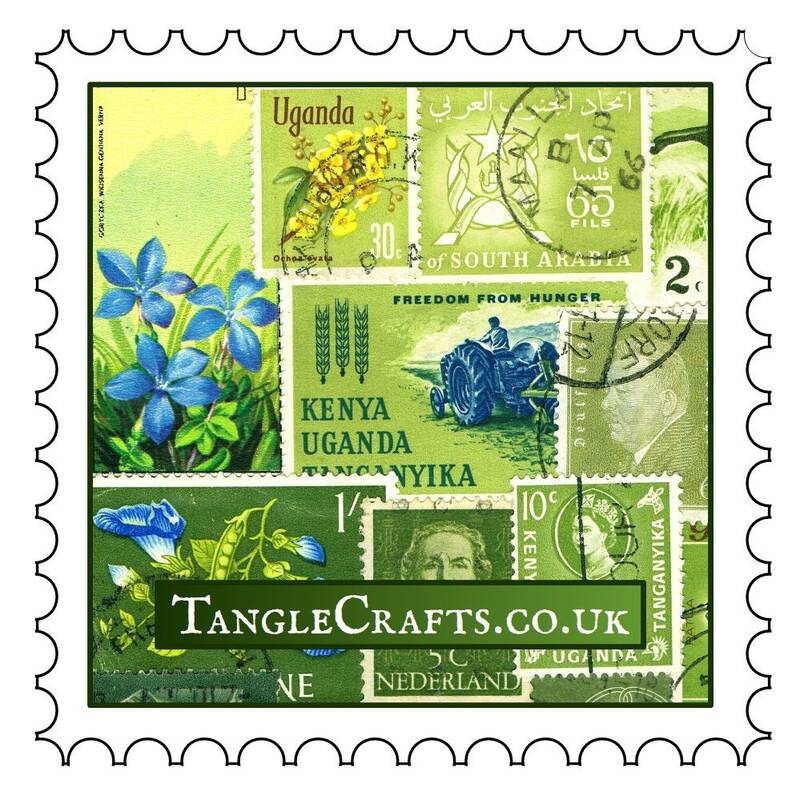 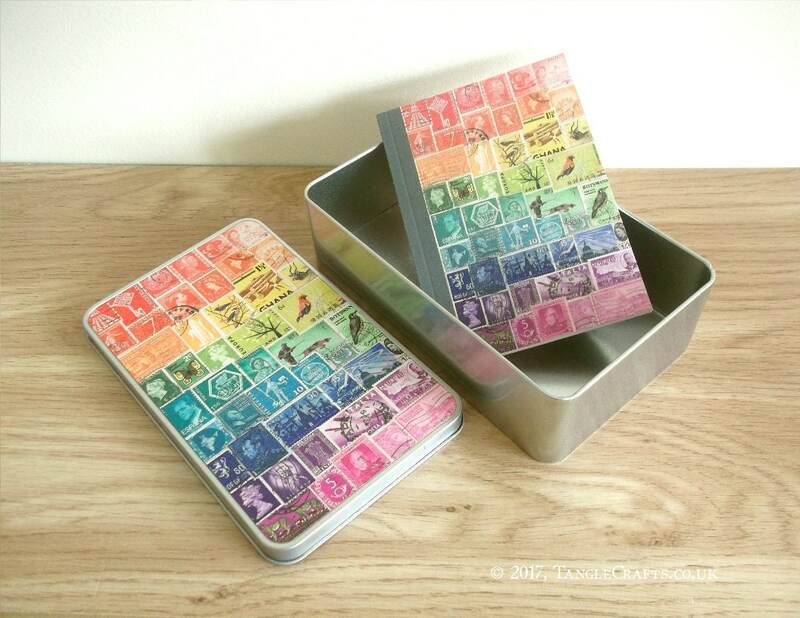 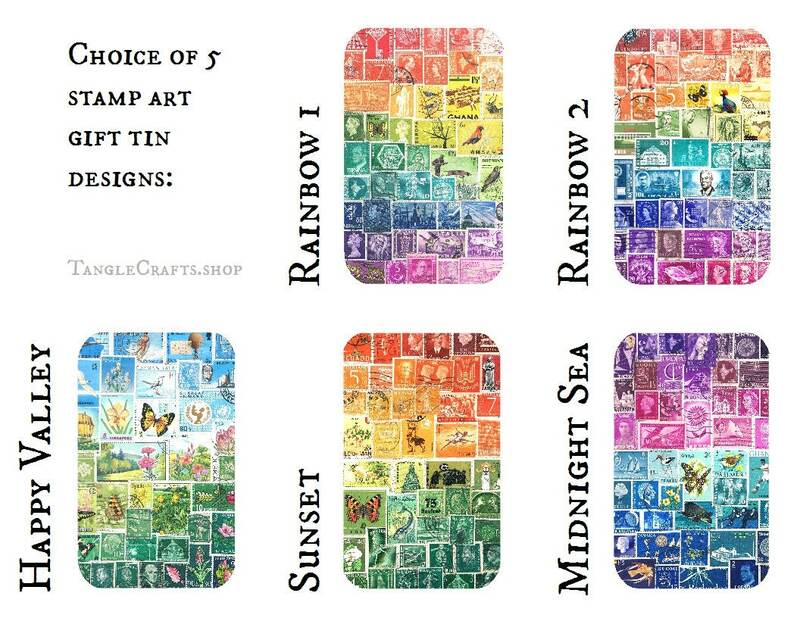 My shop is full of stamp art notebooks, so choose your favourite!